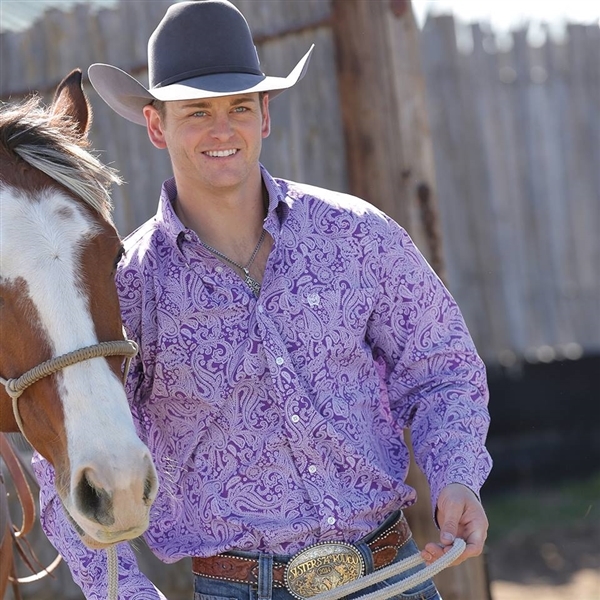 Cinch has been creating distinctive timeless styles that have become the new standard in western wear since 1996. Premium grade cotton offers exceptional strength and finish. Paisley paints a new look on this purple and white paisley print button-down. Classic Fit.